Spring is here in Indiana (Planting Zones 5 & 6), and our lawns are turning to green again. We are getting excited for gardening season, which brings the inevitable return of weeds to our lawns, containers, and gardens. Did you know that some of these so-called weeds can actually provide nutrition and other health benefits? So before you trash or compost these little blessings, take a moment to learn about some of their wonderful benefits. Did you know that some of these so-called weeds can actually provide nutrition and other health benefits? Dandelion is one of the first spring green plants to arrive. It’s that pesky plant that seeds easily and many work hard to eradicate. Dandelions are great sources of calcium, potassium, iron, and manganese. 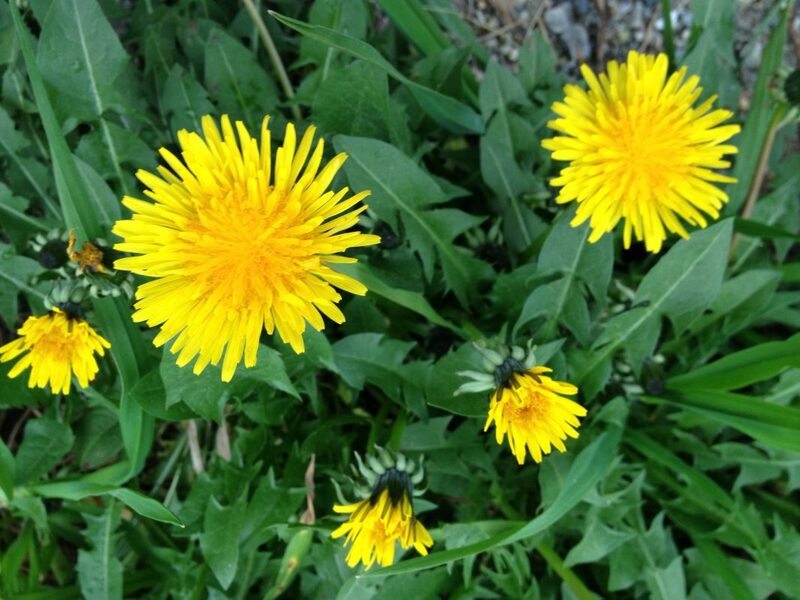 They are full of vitamins and minerals, especially vitamins A, C, and K. Dandelion’s bitterness increases bile flow from the liver and gallbladder, which helps to improve digestion and relieve overall congestion. The leaves can be eaten raw in salads or cooked in olive oil. You can also add them to your green smoothie, or infuse the leaves for tea. Violet is another plant that grows abundantly in Indiana. The leaves are rich in vitamins and minerals, especially vitamins A and C. Violet is thought to be a blood purifier and cleanser for the lymphatic system. This system is a network of tissues and organs that rid the body of toxins and wastes. After winter, consuming violet may assist the body to cleanse any leftover toxins for a more energetic spring. You can use the whole plant, or just the leaves and the top of the stem. The thin roots are known to be especially powerful for lymph cleansing. Cleavers is another plant often considered to be a pesky weed. Historically, cleavers have been used to drain swollen glands and cleanse the lymphatic system. They have been used to treat skin conditions, such as psoriasis and eczema and as an external poultice for sores and wounds. Cleavers have also been used to soothe irritation in the bladder. They are known to have a mild diuretic effect; so can help with inflammation in the body from winter foods. Don’t spray your yard! Always be sure to harvest from a clean, toxin-free area. I let my dandelions grow like crazy and use them all season long. In fact, I blow the seeds around my garden. 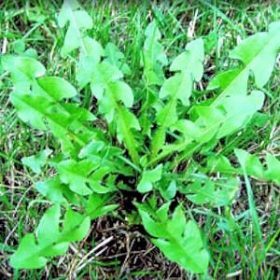 If you don’t have a yard, bring home a fluffy seed top from a dandelion and dedicate a container to this nutritious plant. I also let the violets grow. They make a great ground cover around other herbs. They take off easily, so you only need a small one to get started. Cleavers tend to be found in wooded areas and also grow plentifully when transplanted. Don’t spray your yard! Always be sure to harvest from a clean, toxin-free area. I let my dandelions grow like crazy and use them all season long. So much fun and freshness for free! Important note: Be absolutely sure of the identification of plants before taking them internally and see your physician for health issues. This article is not meant to be medical advice, but rather thoughts about additions to your diet. This entry was posted in Lifestyle and tagged garden, health.